White; the presence of all. An achromatic array of all that’s visible in our spectrum. It’s pure. It’s wholeness. It’s completion. A reflection of all. It is everything without anything. It’s a complicated simplicity. In psychology, it stands for new beginnings, a clean slate; for setting a new standard. 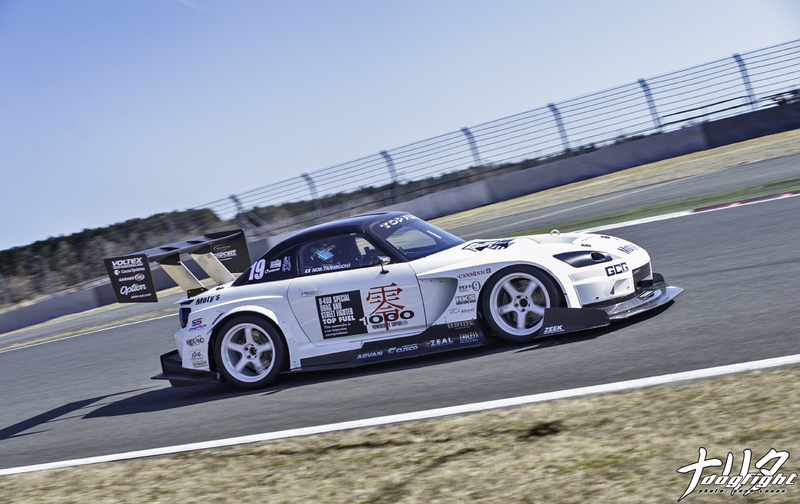 It’s only appropriate then, that Top Fuel chose to dress their time attack dominating S2000-RR in a shade of white. Getting to this stage was no easy task for the company, however. Almost a decade of development has gone into this car, and it’s improvements over the past years after Voltex’s involvement have been staggering. 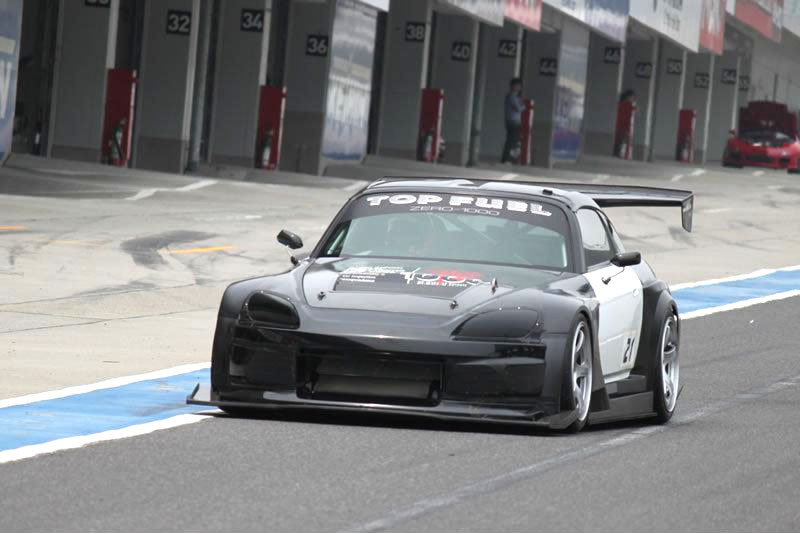 Initially a platform to test their F20 turbo kit, Top Fuel quickly began to change their focus on the car after competing in open events at Tsukuba. After the development of the kit, the fight for time soon became the cars next task. Remember back when the car looked like this. Oh, how far they’ve come. When invited to run in the Pro Class of the WTAC, a category that is dominated by AWD platforms, Top Fuel knew they had a tall order to fill. Power output is nothing new to them, being a company that is deeply rooted in organizations like RH9, and have many high power builds under their belt. 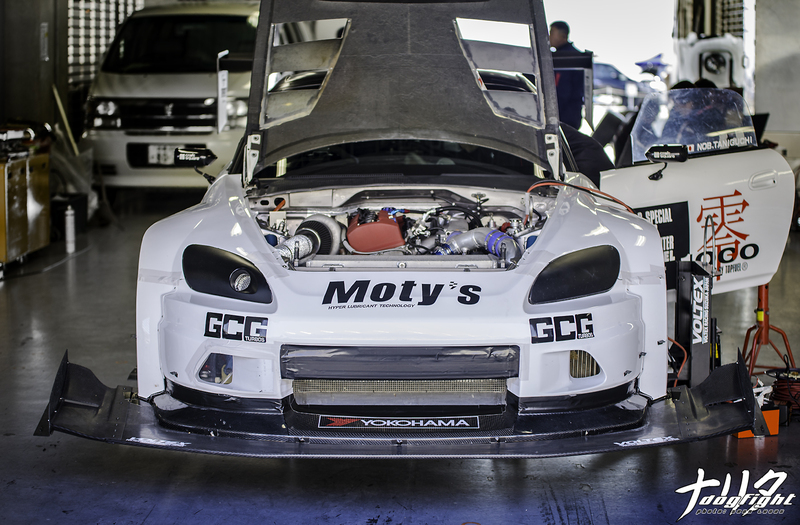 Aerodynamics however, especially at a track like Sydney Motorsports Park, and even Fuji, is something that they would require assistance in, and who better to look towards than Voltex? When Nakajima was brought on board, it wasn’t long before the carbon Top Fuel widebody was transformed into something completely unique. As wind tunnel testing commenced, and Voltex laid the foundation for what was required, the changes began to surface soon after. 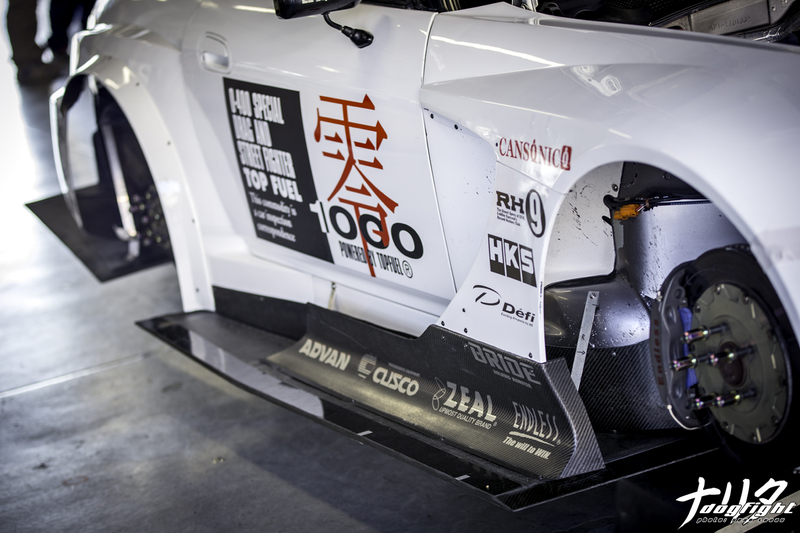 Using a mixture of Voltex OTS pieces, like their massive Type 11 GT Wing, and their front bumper offering, as well as a plethora of custom carbon pieces, Voltex was able to dramatically increase aerodynamic grip. A good look at the newly modified fender, side skirt, and underbody setup. It’s a good thing the aerodynamic grip is in place too, because the 700+whp HKS turbocharged F20 puts to the ground is quite staggering to say the least. The 2.2 liter, Darton sleeved block is stuffed with forged internals to handle the pressure of the newly fitted GCG turbine (switched from the HKS GT3540 unit). Top Fuel’s development in their OTS kit may be done, but it’s a continuous effort to keep drawing power from this particular build. 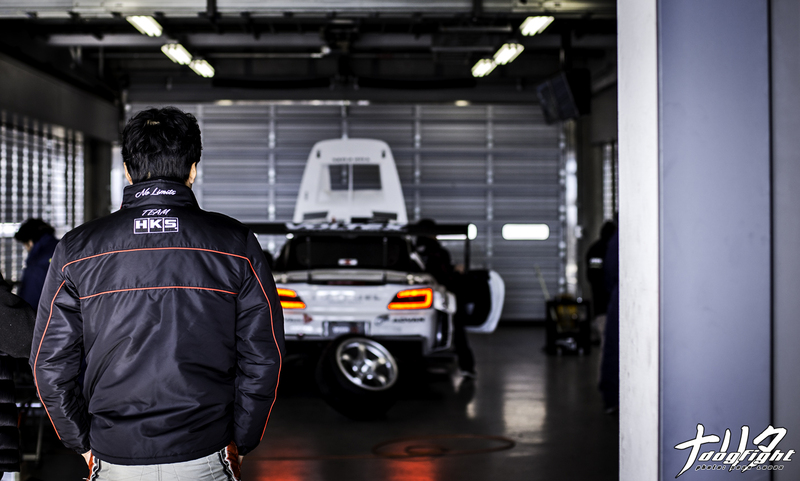 Piloting the machine on this particular day was none other than Taniguchi. On his final outing, he was able to garner a fast lap of 1’39.131; that’s over a full second quicker than last year’s time at Fuji. Proof that their off-season developments are paying off. 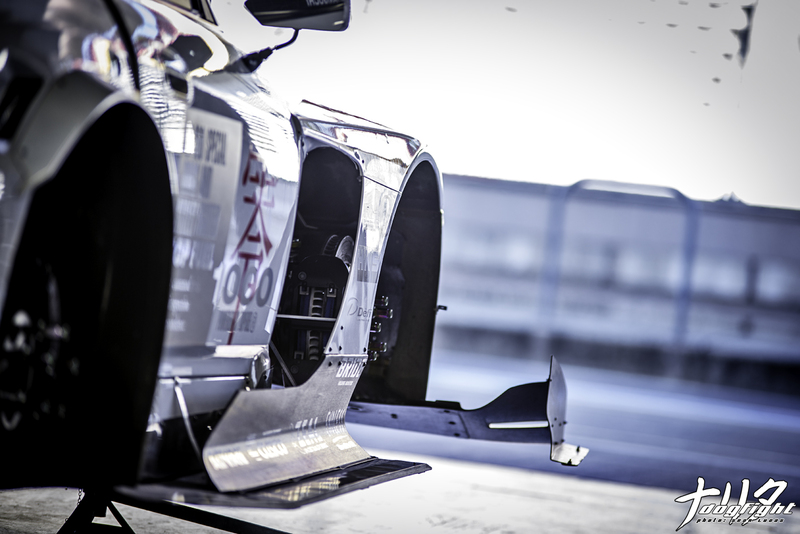 The front splitter is nothing short of spectacular, and boasts vented, 3D winglets on either side. Seeing all these components come together, working in part with each other on track is quite amazing. The car seems to flow effortlessly through each corner, and accelerate as if there were no resistance through the straights. 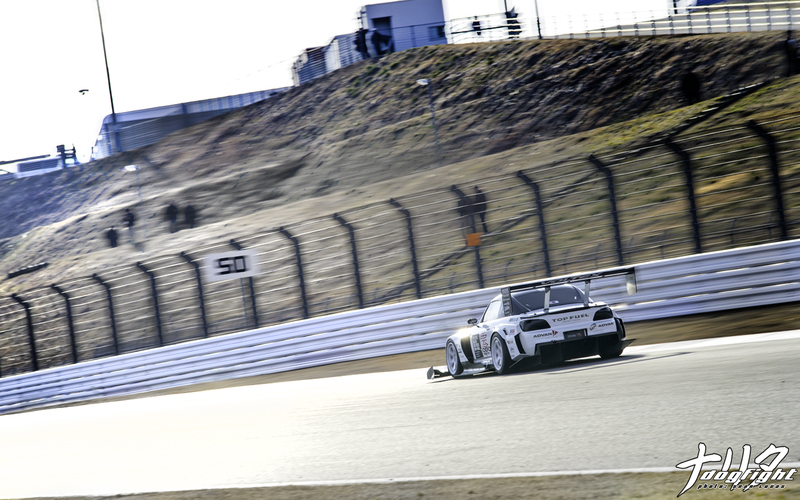 Having scrubbed all it’s speed from Fuji’s massive front straight, NOB rounds the first corner of the circuit. The custom spec ZEAL coilovers compress as necessary to keep the most contact between the 295 series Advans and the track. A dynamic, simultaneously fluid series of motions throughout the chassis propel the car around the track in an almost elegant fashion. The sunlight reflects off the bright white of the car as the afternoon passes, an indication of the ever-present passing of time. While this isn’t the first time seeing this build in person, it seems I see it in a different light each time. The way the gloss white of the body contrasts against the carbon aero stages the car in a form of admiration not akin to many other builds. It really is a blank canvas that both Top Fuel and Voltex have molded into something incredible; a complete reflection of all aspects in racing.